One of my very favorite ways to decorate a room is with mirrors. First of all, they are super functional! You can check your hair or makeup and make sure you still look fab! They also reflect the light and the room, which makes the space look larger and brighter. They are also easy pieces to match with the room and are easier to pick out than art- they always look good! The trick is just finding the right size and shape for the area- you want it to be the proper scale so that it looks right in the room. Then, choose a fun pattern, color or design for the trim and you've got yourself an easy piece of wall decor! 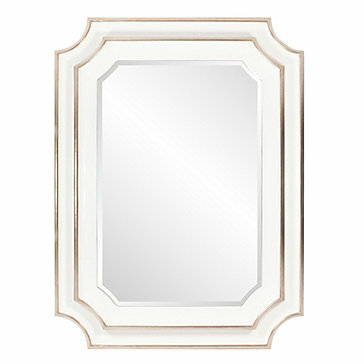 Below are some of my favorite mirrors I've seen lately, all with links so you are ready to shop!